Auctioned in early 2005 by It's Only Rock 'n' Roll from the Sam Feldman collection. Feldman was an engineer at Bell Sound Studios in New York City. 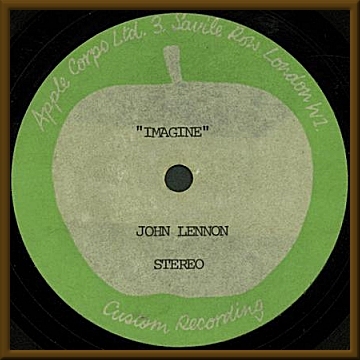 Bell Sound produced most of The Beatles' and solo Beatles' sanctioned acetates and promo discs for use in the US from 1969 through the early 1970s. There is no indication which take or mix this is but it seems likely to be the standard mix. Original 7” one-sided metal acetate with UK Apple (London) labels. This is the released version without the strings Phil Spector added to the final release. John Lennon…naked, if you will. Disc VG.